A couple builders share their love for LEGO and video games with scaled-up models of controllers from past and present. 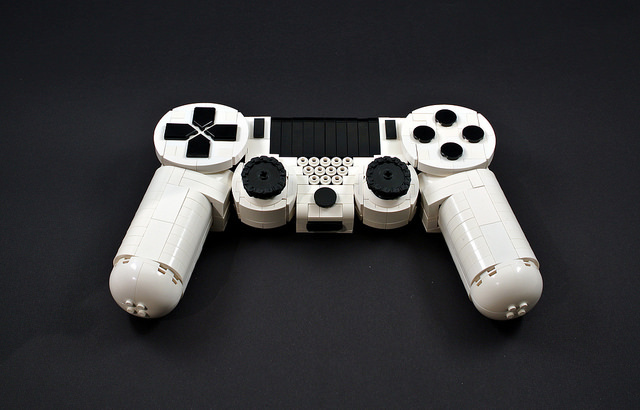 First, from Cecilie Fritzvold, is the sleek PlayStation 4 controller. Cecilie shows great attention to detail, creating the D-pad with fairly new 2×3 shield pieces in black spaced out slightly, and the centered speaker with the right number and arrangement of holes. Chris Maddison takes us back 30 years before the PlayStation 4 with his classic Nintendo Entertainment System controller. 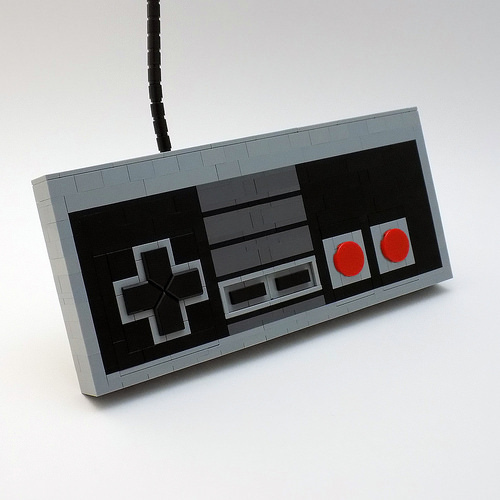 Chris nails the colors and line work of the classic game pad, making it difficult to tell at first the model is made with LEGO bricks.